It is a joy to be in Jorja Fleezanis’ audience any time. On July 28, in her concert “Into the Light,” Ms Fleezanis, the rare artist who is loved as much as she is acclaimed, curated the program. 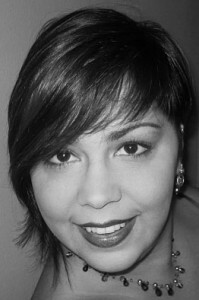 She wrote that she chose music which “transports us from where we were before hearing a masterpiece to a place very different when it is over.” Music@Menlo’s 11th season, “From Bach,” presented an ideal theme for her selections. Each work, Ms Fleezanis wrote, “engages our many emotional temperatures.” She focused on music which lifts the listener into the light even while facing the darkest facts of human life. Bach’s Violin Concerto in E Major, dating from 1723, is not dated by the passage of centuries. In the wonderfully rhythmic first movement, Ms Fleezanis channeled Eleanor Powell, demonstrating through her playing and even the occasional foot tapping, the physical existence of music. It moves us as it moves the air waves. The dazzling rhythmic complexity provided a playground for the ensemble: Arnaud Sussman, Sean Lee, violins; Paul Neubauer, viola; Dmitri Atapine, ‘cello; Gloria Chien harpsichord. The dark reflection of the Adagio movement was not dismissed by the exuberant, lovely finale, but its presence made the energetic beginning and ending Allegros all the more precious. Mozart’s String Quintet no.4 in g minor (1787) recognizes pain and drama in the darkness, always present even if waiting off stage. Ms Fleezanis, Mr. Lee, violins; Mr. Neubauer, Sunmi Chang, violas; Laurence Lesser, ‘cello awakened the audience to the human answer to the dark: Here we are. We can play this music together. We can present Mozart’s thoughts to you 226 years after he met darkness with unique brilliance. Messiaen’s Theme and Variations for Violin and Piano (1932) was a surprise on the program of earlier music. It was played beautifully, enchanting anyone apprehensive about Messiaen’s technique. Ms Chien showed the piano’s percussive strength, and Ms Fleezanis’s violin took us on silken sails into the sky. It fit the artfully constructed program so well. Handel’s Eternal Source of Light Divine (1713), turned the program to sacred music. This work, also Ode to the Birthday of Queen Anne, cites the Queen as source of Light and Peace. The music gives thanks to God for “distinguished glory” adding “lustre to this day.” Performed by Elizabeth Futral, soprano; David Washburn, trumpet; Ms Fleezanis, Kristin Lee, violins; Ms Chang, viola; Mr. Atapine, ‘cello; Hyeyeon Park, harpsichord; Handel’s faith lifts his music toward a peaceful heaven. The program closed with Jauchzet Gott in allen Landen (Praise to God of all the Earth) written by Bach ca. 1730. Mr. Washburn’s trumpet was stellar. Light and dark coexist throughout. In the slow movement, the music is reflective, sad, but in his text Bach does not swerve from praising and thanking God, promising to live a “devout life.” Having opened with the exaltation of “Jauchzet!” “Joyfully praise!” the cantata returns to Alleluia. Ms Fleezanis, meeting Bach, offers joy. This entry was posted in Hedgehog Highlights on July 31, 2013 by Leslie. 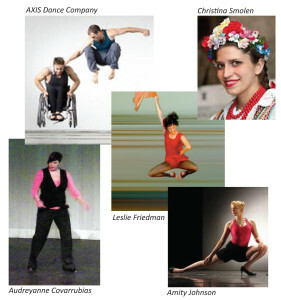 Here are the artists performing & teaching in the Festival. Don’t miss this opportunity to try something new, tune up your technique–or acquire a technique, expand your creativity, and just have fun dancing. Open to all adult ages and levels of training or lack of it! This entry was posted in INTERNATIONAL DANCE FESTIVAL-SILICON VALLEY on July 24, 2013 by Leslie. Scholarship & Early Bird Festival Deadlines Soon! It’s time! The deadline for Early Bird registration for the second International Dance Festival-Silicon Valley is July 19th; that’s soon! The deadline to apply for scholarship aid is July 26. The Festival is just one month away. Don’t wait. Send for your scholarship application. Send in your registration. Here’s the contact information: livelyfoundation@sbcglobal.net Here’s the Festival schedule: Aug. 19-23, MWF, contemporary technique at 10:30 a.m.; repertory at 11:40 a.m.; composition/improv at 1:30-2:30//TTh, contemp tech at 9:30; rep at 10:40; comp/improv at 12:30-1:30. FULL DAY OF DANCE, Aug. 24: PILATES, 9 A.M.; CONTEMP, 10:15; TAP, 11:45; POLISH FOLK, 2 -3:15 p.m.; AXIS Dance Co., 3:30-5 p.m. Join us for the Festival’s farewell dinner, right there after the show. Festival Concert: Sunday, August 25, 3 p.m. 890 Church St. Mtn. View. Don’t wait! Sign up! Photos: AXIS Dance Co., Audreyanne Delgado Covarrubias. This entry was posted in INTERNATIONAL DANCE FESTIVAL-SILICON VALLEY on July 17, 2013 by Leslie. Summer in San Francisco is a time to appreciate the beauty of light on the water at the SF Bay or the Pacific Ocean. The Legion of Honor Museum, perched above the Pacific in one of the few spots with a gorgeous view of both the Bay and Ocean at the same time, offers visitors a glorious exhibition, Impressionists on the Water. It opened June 1 and runs through October 13, 2013. 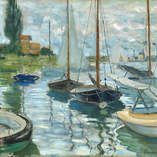 More than 80 paintings and works on paper demonstrate the artists’ fascination with water, light, and color in works by Renoir, Monet, Pissarro, Caillebotte and post-Impressionists including Denis and Signac. When I had the opportunity to tour the exhibit with the distinguished guest curators, I mentioned to one of them, Christopher Lloyd, former Keeper of Queen Elizabeth’s collection, that I thought they had painted all those boats just because they were pretty. He said that he had once thought that, too. Instead, it turns out that they were all involved in boating, knowledgeable about yacht construction and sometimes active in competitions. 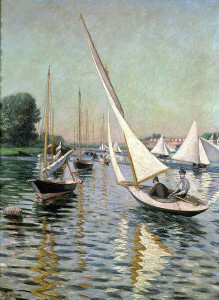 In Regatta in Argenteuill, Gustav Caillebotte shows three different views of his sail boat and a self-portrait of himself steering with one finger. He was an expert boat designer and proud of his boats’ speed. The guest curators include Phillip Dennis Cate, former director of the Zimmerli Art Museum, Rutgers Univ., and the marine historian, Daniel Charles. To look at these paintings is to feel the refreshing movement of the water through the active brushstrokes. 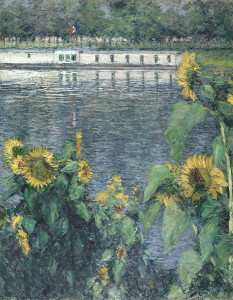 Photos: (above), Boats Moored at Le Petit-Gennevilliers (1874), Monet; (L-R)Regatta at Argenteuill (1893), Caillebotte; Sunflowers Along the Seine (1885-1886), Caillebotte; Oarsmen at Chatou (1879), Renoir(pictures courtesy of FAMSF). 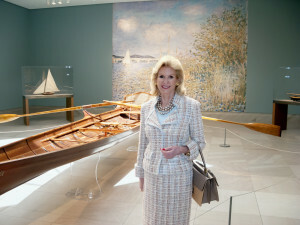 Mrs. Diane B. Wilsey, President, Board of Trustees, Fine Arts Museums of San Francisco (photo by Jonathan Clark). 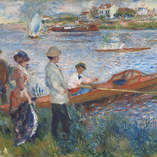 Mrs.Wilsey is standing by the boat, Nana, believed to have belonged to the author, Emile Zola. This entry was posted in Hedgehog Highlights on July 11, 2013 by Leslie.